Award winning writer Rachel Joyce dramatises this beloved novel for the bicentenary celebrations of Charlotte Brontë's birth. A fantastic mix of injustice, romance, passion and danger wrapped up in a glorious love story. Award winning writer Rachel Joyce and Producer Tracey Neale are the team that brought The Professor, Villette and Shirley to the Radio 4 airwaves. And now for the bicentenary celebrations it is time for the most beloved of Charlotte's novels - Jane Eyre. 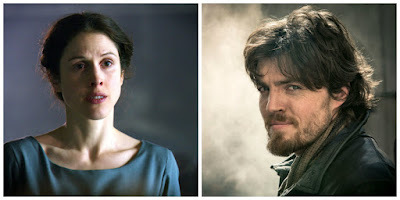 Starring Amanda Hale (Ripper Street, The White Queen and Catastrophe) and Tom Burke (The Musketeers and War and Peace) the chemistry between the two as they play Jane and Rochester is both sparkling and spell binding. Samira Ahmed takes a tour of the Haworth Parsonage to consider the closed world of the Brontë siblings, and the how their imaginative childhood games fed into their writing. Novelists AS Byatt and Sophia McDougall, and actor Tom Burke who plays Mr Rochester in the new Radio 4 adaptation of Jane Eyre, discuss the enduring appeal of the Brontës' characters. Presenter Samira Ahmed visited the parsonage for the recording session. Explaining her visit on her Twitter account she said: "On the trail of the infernal fantasy world of the Brontës, and it's link to modern fantasy gaming and romantic heroes..."